So the three wise men set off with gifts for Baby Jesus. Gifts!! The little eyes around me shone with excitement. “What gifts did they take?” asked one. “Toys” “Clothes” “Sweets”… voices yelled. “Nah” I said, “They took gold… and frankincense… and myrhh” The faces fell. They were not impressed. What silly gifts, the eyes said accusingly. Crisis averted. Happy faces. The sun shone again. Baby Jesus smiled in their world – covered in hay, happily clutching a wooden toy. 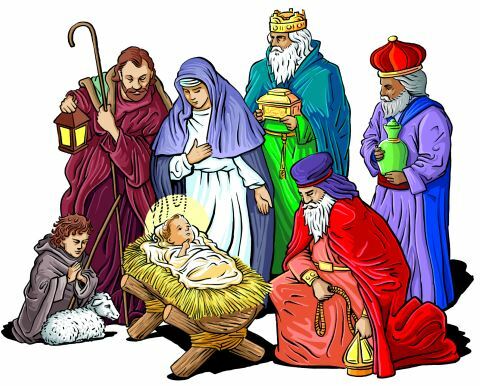 The three wise men stood in a corner with their big-people gifts.